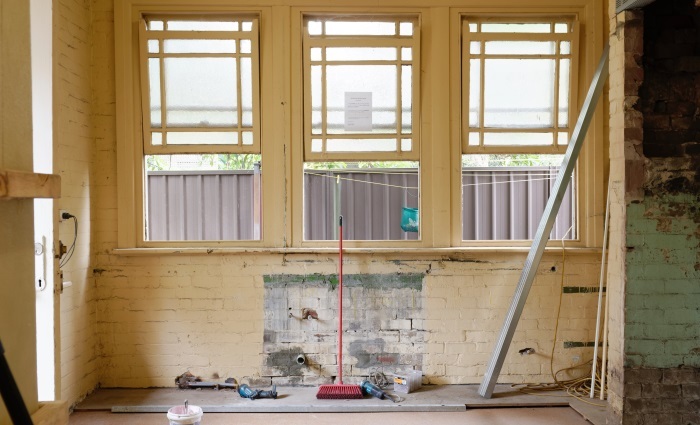 It can be really tempting to dive in and get started on your renovation, but before you do, make sure you're not making any of these common remodeling mistakes! Planning a home remodel is an exciting opportunity to put your own personal touch on your space, but some common remodeling choices can dramatically reduce your resale value and limit potential buyers. Here are some common remodeling mistakes made by homeowners and how to avoid them. Maybe you’re planning to turn a bedroom into a walk-in closet, or take out a wall to increase the size of an adjoining room. These may be incredibly desirable and functional changes for you, but they may significantly reduce the desirability of your home to future buyers. Future buyers may need that additional bedroom, or the flexibility to use a separate space as a play room, storage space, or home office. Before you start tearing down walls and combining spaces, consider what the goal of your remodel is and what other options may accomplish that. For instance, rather than permanently converting a spare bedroom to a walk-in closet, you may find it perfectly functional to leave this room as it is, and simply enter your closet from the hallway. If you absolutely want to access the walk-in closet from your bedroom, try to plan these changes so that they could be easily reversed by a future homeowner (for instance, a single double hung door is much easier to remove than a large sliding door would be). Bathtubs are incredibly desirable to buyers with young kids, pets, or who simply like a good soak. While you and your family may not use your bathtub often, removing them completely will cause you to lose buyers who view having a bathtub as a necessity more than a convenience. When remodeling a bathroom, one of the biggest decisions you’ll likely make is whether you’ll go with a shower or bathtub. This choice can dramatically affect the layout of your bathroom making it very expensive for potential buyers to change. While you can often remove a single bathtub during a remodel, it’s always recommended to keep at least one bathtub in your home so that you don’t negatively affect resale value. There are many tub / shower options available, including walk-in tub / shower enclosures, so there is often an option available that will suit both your needs and your potential buyers’. Saplings may seem harmless when they’re small, but trees can cause significant damage to your home over time. When planted too close to your home, tree roots can weaken your foundation and damage exterior water and sewage lines. Tree branches and limbs can damage your roof and siding, and even encourage Mold growth on the exterior of your home. Plant medium and large trees (20 + feet tall when mature) at least 30 to 50 feet away from your house. Smaller trees (under 20 feet) should be planted at least 8 to 10 feet away from your house. There are many ornamental trees that do not get very tall, so there is likely a tree that will work in your space. While removing wallpaper is always preferred, painting over wallpaper is possible. Water-based paint however, can reactivate the wallpaper adhesive, which can cause the paper to peel or for a greasy, splotchy discoloration to appear through the paint. This can create a lot of issues when trying to sell the home. If not able to remove the wallpaper properly, and you instead opt to paint over it, always ensure you use the appropriate paint products. Apply a layer of oil-based primer on the wall and allow it to dry fully. Once dry, you can paint the walls with a latex-based paint product without having to worry about any issues developing as a result of an interaction with the paint. Always be sure to check the condition of wallpaper thoroughly before choosing to paint over it, as any damage, peeling, or noticeable seams will be extremely evident after painting. In some cases drywall compound or spackle may be necessary to hide some of these imperfections. Whether it’s custom moldings, stained glass windows, or decorative exterior features, these decorations give your home its character. Removing them can negatively affect curb appeal and reduce the interest of future buyers. When planning a remodel, it’s always a good idea to try to save as many of these decorative features as possible, particularly in beloved home styles such as Victorians and Farm Houses. Every home style has its own charm, so it’s important to maintain that as much as possible. Features that may be in poor repair, can often be repaired or replaced through local building supply stores or restoration companies. Brick is a porous material that needs to breathe. Painting brick, especially exterior brick, can trap moisture in the brick which can cause the brick and mortar to crumble. This can result in a significant cost to repair or replace the brick in the future. Instead of painting the brick, opt for brick stain, which bonds with the brick and allows it to breathe. If you’re trying to go with a particular color scheme, consider painting other elements of your home, such as a porch, window shutters, or lattice work. We hope you found this information helpful and that these tips allow you to make your house your own without negatively affecting its resale value! The most important thing about a remodel though is to have fun and take your time. If there is ever anything we can assist you with, please don’t hesitate to Contact Our Offices! We’re happy to help!